For your protection the genuine is put up in non-re fillable boxes—the “Box that Lox,” with Mennen’s face on top. 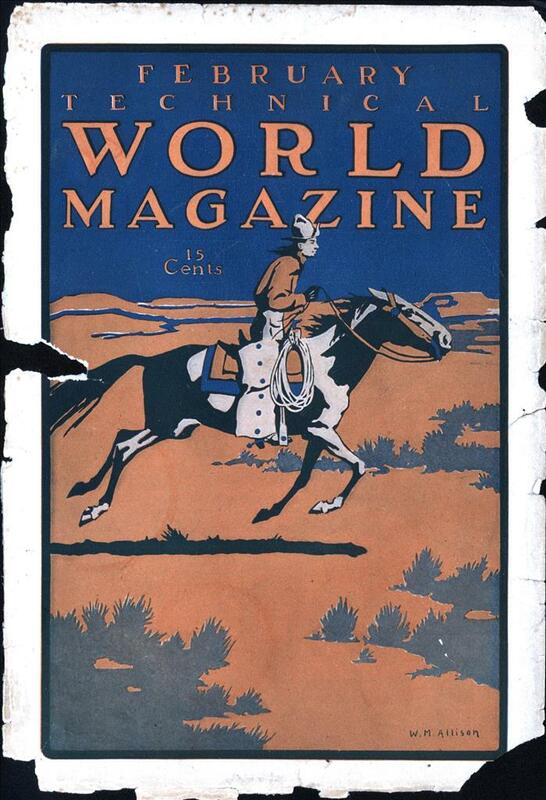 Sold everywhere or by mail 25 cents—Sample free. 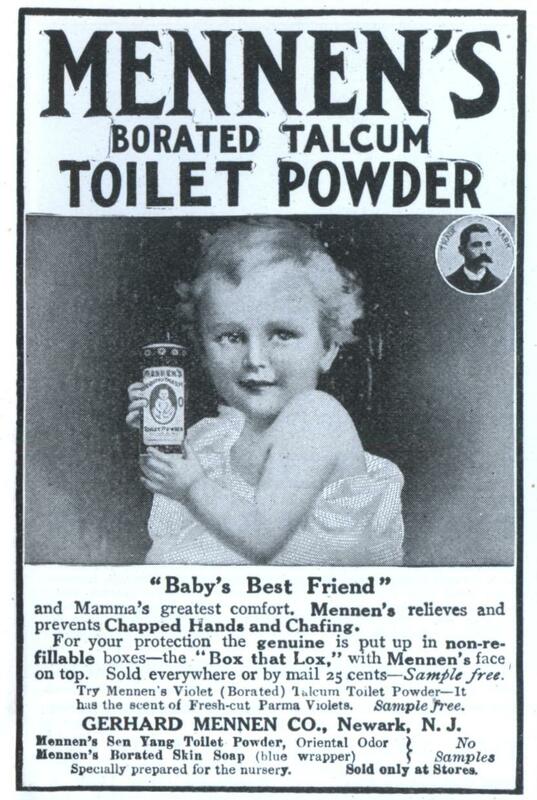 Try Mennen’s Violet (Borated) Talcum Toilet Powder—It has the scent of Fresh-cut Parma Violets. Sample free. GERHARD MENNEN CO., Newark, N. J.
Mennen’s Sen Yang Toilet Powder, Oriental Odor. Mennen’s Borated Skin Soap (blue wrapper) Specially prepared for the nursery. “Borated”? Does it come from Kazakhstan or something? It means it contains borates – boron-oxygen ions.